Michael Cera is a Canadian born actor and musician. He is most well known for his role in Scott Pilgrim vs. The World, in which he starred as the titular character. His other movies include Arrested Development, Youth in Revolt, Superbad, Nick & Norah’s Infinite Playlist and Juno. Cera was born on June 7, 1988 to Linda and Luigi Cera in Brampton, Ontario. He is the second of three children, with an older sister, Jordan, and a younger sister, Molly. His interest in acting was piqued when he watched Ghostbusters at the age of three and as a result, enrolled in The Second City Toronto and took a series of improvisation classes. Cera initially attended a number of different schools like Conestoga Public School, Robert H. Lagerquist Senior Public School and Heart Lake Secondary School up to grade nine, but then chose to complete his schooling online, through to grade twelve. Cera’s career began in 1999, when he was cast Canadian television series I Was a Sixth Grade Alien as Larabe Hicks. He then appeared in the 2002 spy comedy film Confessions of a Dangerous Mind as a young Chuck Barris and also provided the voice for the Berenstain Bears animated series in 2002. He was also cast in the 2002 sitcom, The Grubbs, which did not fare well with critics and fans and received extremely poor ratings. 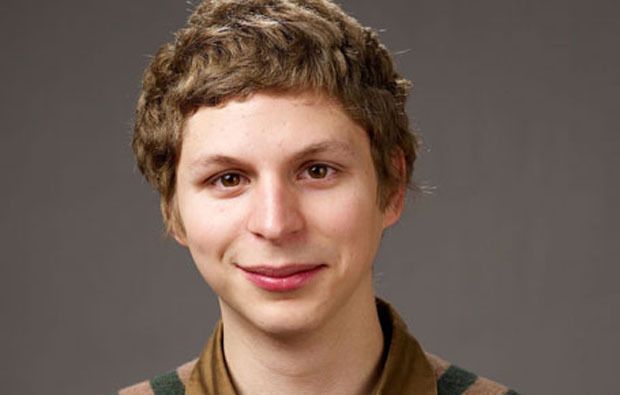 Fortunately Cera was in luck as his next venture, the 2003 comedy drama series Arrested Development as George Michael Bluth, was a huge success. The show has been regarded as one of the most influential sitcoms in history and was very well received by many critics and publications, despite not being able to garner a lot of ratings in mainstream television. Sadly, due to failing ratings the series was cancelled only after three seasons, in 2006. However, the show was renewed for a fourth season in 2013. Following Arrested Development, Cera appeared in a number of works including Darling Darling (2005), Impossible is Nothing (2006), Tim and Eric Awesome Show, Great Job! and even a guest appearance in Veronica Mars. He also released a series of videos on his website along with his friend, Clark Duke, which eventually become the short format comedy series Clark and Michael (2007). The series was exclusively aired online by CBS’s own internet channel, “CBS Innertube”. Michael Cera once again received widespread recognition when he starred in the Seth Rogen directed film, Superbad (2007), alongside Jonah Hill. He went on further by securing a supporting role in the award winning movie, Juno (2007), in which he starred alongside fellow Canadian actor Ellen Page. Both these movies brought Cera international recognition and praise for his style of acting and skill. As a result, he was received the Breakthrough Artist award at the Austin Film Critics Association Awards in 2007. Cera continued to appear in movies in the following years, like Drunk History (2007), Paper Heart (2007), Year One (2009) and Youth in Revolt (2010). His breakthrough role came in 2010 film adaption of Scott Pilgrim vs. The World, in which he played the titular character. The movie was a huge financial success at the box office and exposed Cera to a whole new generation of audiences. The film was widely praised by particularly referring to Cera’s portrayal of the lead character and his skills as an actor. From 2013 onwards, Cera was involved in a multitude of projects like Magic Magic (2013), Crystal Fairy & the Magical Cactus (2013) and This is the End (2013). He also has a web-based comedy channel on YouTube by the name of Jash. Since August 2014, Cera has been involved in a run of Kenneth Lonergan’s This is Our Youth on Broadway, along with Kieran Culkin and Tavi Gevinson. Apart from an actor, Cera is also an accomplished touring bass player, playing for acts like Mister Heavenly and The Long Goodbye. He also provided backup vocals for the soundtracks of Scott Pilgrim vs. the World and Nick and Norah’s Infinite Playlist. In 2014, he released his first full feature length album, True That.